Welcome to the Drake situated in the heart of 17th Ave/Beltline district known to have some of the best retail shops, restaurants and bars in downtown Calgary. 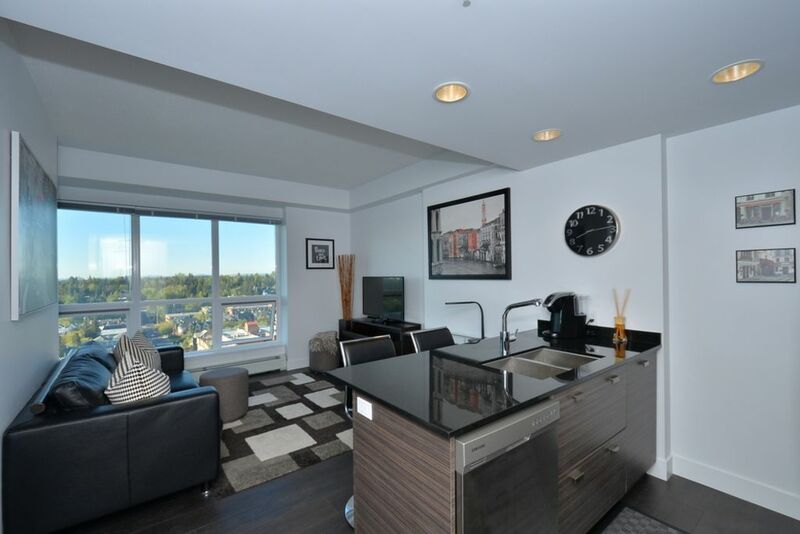 This executive style newly built, bright, contemporary, modern, fully furnished and equipped one bedroom suite is located at the sub-penthouse level offers breathtaking unobstructed view of East, South and West of the Canadian Rockies. The condo offers a fabulous open floor plan includes a single heated underground parking stall, in-suite washer/dryer, electricity, water, heat, cable TV, Wireless high speed internet and telephone (free local and long distance calls within Canada and U.S.). You will be able to enjoy the whole condo unit to yourself and a single secure heated underground parking space is available during your stay (no extra surcharge). My wife and I are always reachable via cell, text or email. On the first morning after checked in we'll send a quick message to see if any questions or concerns need to be addressed. Besides that we respect our guest(s)'s privacy so we won't initiate contact unless necessary, as such, please stay in good communication throughout the duration of your stay. Drake is located in the Beltline district which was ranked by Avenue Magazine as the number one neighborhood in Calgary to live in. Drake has a high walk score of 96 which measures walkability by calculating the distance to amenities. Everything is within walking distance including Corbeaux, Parc, Cru, Una, National, The Ship and Anchor Pub. Also Analog Coffee, Caffe Beano, Waves Coffee, Tim Hortons, Starbucks, London Drugs, Shoppers Drug Mart, BestBuy, Safeway, Calgary Co-op, plus many other restaurants, shops, and bars nearby. Calgary Transit bus # 3 run along 17 ave every 15 mins. Calgary LRT (Light Rail Transit) is only a few blocks north. You will be welcomed with freshly laundered duvet covers, bed, bath, and kitchen linens upon your arrival. This is our second home when we stay in downtown Calgary. We take great pride in keeping the place clean and we hope you will enjoy it as much as we do! Thank you for considering staying with us! Gorgeous mountain views. And on a lively street with lots of shopping and fine dining. Very neat, clean and stylish condo. Comfy bed, too. Walkable to most of the best restaurants in Calgary.